TPH provide a friendly and professional service as well as quality value for money holiday homes. The management and staff have been more than helpful with any queries we had both before and after purchasing our new home. Visiting Altinkum just feels good and this has a lot to do with the genuine welcome we receive from everyone at Turkish Premier Homes. I bought my house in Altinkum through Turkish Premier Homes having been recommended by a friend who had bought his property through them. I have worked in the commercial finance industry for many years now, having previously worked in the domestic finance market, witnessing the great stress - and often disappointment - many people endure in buying property. After researching the property market in Turkey I decided to contact Turkish Premier Homes and arranged an inspection trip. Arriving at Bodrum airport, I was met and driven to my accommodation in Altinkum. The following morning I met with Ramazan to discuss my requirements. I told him the type of property I was looking for, the area (Altinkum) and gave him an idea of my budget. We then set off to view relevant properties. I was very impressed with the value for money, variety and build quality of the properties I viewed and by the relaxed no-hassle approach of Ramazan during the process. After many viewings I decided to purchase a property close to the main beach in Altinkum. Ramazan and the experienced staff at Turkish Premier Homes ensured that the whole buying process was straight-forward, worry-free and was kept on schedule. I have since spent many, many months in Altinkum enjoying its weather, its people and its unique atmosphere. During my time there, whenever I need to know how, where, which etc, I call into the Turkish Premier Homes office where friendly advice and practical support is readily available. I also take advantage of the Turkish Premier Homes property management service, giving me peace of mind when I am away from my house in Altinkum. It is inspected weekly and my bills are paid on time. In conversation with Irish and British people who have bought property in the Altinkum area, I sometimes hear stories of frustration with the buying process and dissatisfaction with the post-purchase period. I invariably find that the person had, unfortunately, arranged their purchase through a recently established estate agency or a friendly (and I'm sure well-meaning) restaurant manager/worker or the like. I would strongly advise against using a 'Jack of all trades' when purchasing a property in Turkey - or anywhere else for that matter. I am confident to recommend that you use Turkish Premier Homes for your property purchase. It is an established business. Ramazan and the staff have many, many years experience in the industry and provide the standard of service their customers and clients expect. To whom it may concern. We bought our appartment in Altinkum through Turkish Premier Homes,with the help of Ramazan and his staff who were helpful friendly and very professional in all they did right through the whole procedure of buying property,which can be very daunting in a foreign country,but was made so easy. We came to Turkey with friends to help them furnish their appartment,but fell in love with the place after only a few days,and decided to buy a Duplex Appartment. Their was no hard sale,no pressure, in fact we had all the help to arrange the style of kitchen,worktops,placement of air-con units,every detail was thought of by T.P.H and made so easy,and so much fun. We have had the appartment for over 2 years now and the service and back up from T.P.H is still as strong as ever. The management of the property by Peter Jackson who is so helpful with everything you need,nothing is to much trouble for him. With this very professional set-up you become a part of a big family who will always welcome you on your return. We would recommend Turkish Premier Homes to anyone who is thinking of buying property in Turkey for peace of mind and excellent service. Contact No; 01903 248751 for a personal chat. To whom it may concern I went to Altinkum along with my brother in May 2007 with the intention to view properties in the area. I was unsure of whether or not i would like to buy for investment purposes or for a holiday home. Having only been to Turkey once before my mind was open with regards to buying property in this area. We arrived in the early hours of the morning and were greeted by a driver from Turkish premiere homes who took us to our hotel. We were left a message in our hotel room welcoming us to Altinkum and telling us we would be met by Peter and Ramazan the next day. We were taken the next day to the office and given information about buying property in Turkey. It was very relaxed and Peter said he would show us the properties the next day. We were not pushed in any way to buy. We were extremely impressed by the workmanship and value for money of the properties and decided the next day to buy. We found the staff very polite and helpful. We thought of many questions after we left the office we found staff helpful in answering all our questions. We had a fantastic week when we were over and managed to enjoy a holiday as well as business. I went over to Turkey in September when our property was completed and stayed for three weeks. It was good to be able to track the progress from may on line but when i seen it for myself i was amazed, the pictures on line looked good, but it was even better to be in it. Again staff were friendly and helpful in furnishing and equiping my apartment and after three weeks i felt very much at home! I cant wait to get back and am over again in April. I find Altinkum to be a beautiful resort and the locals are very friendly and helpful. I would highly recommend Turkish premier homes and am very happy with my purchase. To Who It May Concern, Mr Ramazan Ozturk is my Turkish Agent for my business in Turkey. He has a project managed the purchase and complete restoration of a 5 bedroom 250 year old house in Doganbey. The project was completed in record time (5 months) to the highest standards. I strongly recommend him for his estate agency, project management and property development skills. 28 Rhondda Grove, London E3 5AP. We have know Ramazan Ozturk for 2 years now. We purchased our second property through his company, Turkish Premier Homes.During the purchase and furnishing of the property Ramazan and his staff have been thoroughly professional in all their dealing with us; however on a more human note both Ramazan and all his staff have become very good personal friends. The help given to us was far past the call of duty.After purchasing our first property through another agent it left a bad taste in our mouth however thanks to Ramazan and all his staff we would be recommending Turkish Premier Homes to anyone we know.As a result of the good service ourselves ,family and friends have purchased 5 properties from Ramazan are all very pleased. For a verbal reccommendation on Ramazan and his staff & Turkish Premier Homes. I would like to express my appreciation to all the staff at Turkish Premier Homes (TPHs) following the successful purchase of my dream apartment in the Altan 2 complex, Altinkum. During the construction of the complex the staff at TPHs have always kept me informed of all project changes and updates. They have acted as my central contact throughout the buying process and I found it most reassuring that one of the proprietors (Ramazan) is married to a local Northern Irish lass and is living in my local area of Northern Ireland, in the UK, as well as residing in the country I was buying in. Therefore their unique individual knowledge was invaluable to me. I would strongly recommend if you were thinking of purchasing a property in Turkey you would recommend purchasing through TPHs. They offer you, the customer, extremely high levels of personal customer service, an extensive knowledge of the country of Turkey and its buying system and you will never feel that you are just a number on their computer system, however much or little you spend. I have never been concerned once throughout the whole buying process, as TPHs were always just a phone call away! What other company can you say this about these days? All the staff have guided us every step of the way in order for us to purchase my dream home in the sun. I found the staff to be professional, honest and very knowledgeable, giving me sound advice at every stage of the purchase and nothing was too much trouble. I would also like to congratulate the "after sales" staff in furnishing our apartment in record time so that I could holiday in my brand new apartment, I are truly grateful. Therefore I would highly recommend purchasing a property through TPHs. They give you peace of mind and take the stress out of buying your dream home. I think your are the nicest people in turkey to deal with, only one problem you treat us to well, and we always leave didim with a hangover! Best of luck on your latest project blue hill, hope it sells well, see you at Easter. Gerard & Siobhan medusa village. 1a. We purchased our apartment in Altinkum in 2006 after being introduced to Turkish Premier Homes by a colleague. Ramazan Ozturk, his staff led by Peter Jackson were very professional, friendly in dealing with us and looked after all of our needs. We visit Altinkum and our beautiful apartment as many times as we can and each visit we receive the same level of care as we did on our first trip. We would have no hesitation in recommending Turkish Premier Homes to anyone thinking of buying property in Turkey. "We purchased our appartment from Ramazan at Turkish Premier Homes in 2005. Throughout the process, Ramazan and his staff were extremely helpful and efficient nd the buying process could not have been easier. Right from when we first landed, we were picked up and taken to where we were staying. We were shown round the town, and helped to buy everything we needed to equip our property. Ramazan helped us to open a Turkish bank account so we could move funds across when we needed to. The next time we went out to Altinkum, all our furniture was in our aparment which was by now finished. Our air conditioning units were all installed and everything was in place. Ramazan had also arranged for the pool to be filled and then attended to every day. In the years since the apartment was finished, we have been out to our property several times and each time, everything has been done to make our holiday as easy as possible. Each little thing that we have needed around the property has been done and when we wanted to landscape the garden, it was done the very next day. In summary we have been delighted with the service we have received from Turkish Premier homes, who stand head and shoulders above some of the less reputable agents in the town, and would have no hesitation in recommending them to any potential purchaser. Buying a home in a foreign country is one of the biggest things we have ever done.We were terrified!! Karl and myself went to Turkey for the first time ever in may 2007. We went specifically to purchase an apartment, my sister and brother-in-law were also buying the apartment with us so it had to tick all the right boxes. We had made contact with a firm before we went out, who were to meet us in Turkey on our 1st full day. The apartment we viewed was alot further from the main beach as we were first led to believe so we decided that we would have a hunt around on our own. Sitting around the pool in the hotel, we met Claire and her brother Phillip. They explained that they had just bought an apartment and introduced us to Ramazan. That was the best thing ever as we probably would have ended up coming home with nothing. Ramazan and Peter literally held our hand through every single thing we had to do when we decided to purchase an apartment from themselves. The aftersales service was and is also spot on. I have sent Peter a load of emails some of which were very trivial but Peter has answered every one of them within 1 or 2 days and has put my mind at rest. We bought the apartment buy the end of hol's. 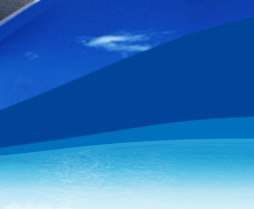 We would recommend Turkish Premier Homes to anyone who wishes to buy a property in Turkey. They take all the stress away. We first came to visit Altinkum 5 years ago to have a holiday and maybe purchase a property if we found anything suitable. We spent the first three days of our break with an agent looking at properties none of which were suitable to us, everyone had something missing from our tick list, on our third evening we were sitting in the golf having decided that we'd give up and enjoy the rest of our break when we were chatting with Ramazan, he then said he had an idea and would be back in a moment, when he came back he took us to a property over the road to the office, it wasn't yet finished just basically a shell, but we fell in love with it straight away it was everything we needed. The next morning we met the builder, opened bank accounts, went to the solicitor and signed the contract. A very nervous time indeed, but everything went very smoothly we came back in Six weeks and paid for the property, the builder as promised had it finished for us and Ramazan and his team spent the next few days helping shop for furniture, connect electricity, water and arrange insurance, absolutely everything we needed to do we had help with, as I recall we even had help with our first supermarket shop. Now 5 years later Ramazan and the rest of Turkish Premier team are still looking after us and our property with as much enthusiasm. We have recommended T.P.H. to a colleague at home who has also visited Altinkum and purchased property with Ramazan and also a friend that stayed in our apartment has since purchased property and is looking to purchase another. We would highly recommend Turkish Premier Homes to anyone wishing to purchase in Altinkum. For a few years now I had been toying with the idea of buying a property overseas - where, I had no idea. At the beginning of last year - 2008 - I was able to put my dream into practise, but, still, I had no idea where. I believe in fate and in April, 2008 I arrived at the door of Turkish Premier Homes. There I met Ramazanuk Ozturk, Peter Jackson and the rest of the group that make up the most friendly and helpful business I have come across in a long time. After a long discussion, plenty of coffee, decisions about what I was looking for and a nights sleep (no hard sell - tomorrow will do - in fact, I did wonder at one point if they really wanted to sell me anything!!) I set off with Peter, who originates from Nottingham and has been living in Turkey with his wonderful wife, Lorraine and son, Josua for the past four years. We visited all the sites he thought I would be interested in - nothing was too much trouble. Very quickly I decided on "Blue Hill" - even though the JCB's were still digging downwards. Back at the office I made up my mind which apartment I wanted and within 24 hours it was mine. I, subsequently changed my mind for another one - "no problem" said Ramazanuk. Well, females are allowed to do that!! Back at home my family thought I had "lost the plot" - agreeing to buy an apartment in Turkey that was still at the foundation stage. I never had any doubt about it, having got to know everybody at Turkish Premier Homes. Fast forward one year. On the 17th April, 2009, I was lucky enough to be the first person to take possession of one of the amazing apartments at "Blue Hill." To say I am pleased with it would be an understatement. But before all this could take place what about the furniture and curtains, etc.?? Lorraine, Peters wife, took me around and helped me with everything - I sometimes find it hard to remember that this is a business to them all - I was treated far more as a friend. On my travels I met Salik from Kurtulus Caddesi ( who speaks perfect English). He could not have been more helpful and friendly and by the end of the day I had furnished and sorted the curtains for my apartment in one shop. Within two days everything was delivered and the curtains put up. Amazing!!! I am now looking forwards to many years of enjoyment at "Blue Hill". Obviously, it goes without saying that I totally recommend Ramazanuk, Peter, Sofia, and the rest of the gang that go up to make Turkish Premier Homes - if you are looking for a property in that area look no further than this firm. I would be delighted to chat about anything I had said and for a great deal of the summer you will find me at "Blue Hill"!! Otherwise just give me a ring. My wife and I bought an apartment from Turkish Premier Homes in April 2007. The service and help we received whilst going through the buying procedure cannot be praised enough. Nothing ever seemed to be of any bother to Ramazan, Peter and the team, and this is what they are a TEAM. They Helped us through every step of the buying procedure and everything went very smoothly and with no hiccups at all, no pressure was put on us at anytime, and for this we will always be grateful to the team. Even now after two years if we need anything at all we would not hesitate to ask for help, and the Turkish Premier Homes team’s after service do not hesitate to give it. The Property was finished to a high standard and to say we are pleased with it is an understatement. The locals are very friendly and go out of their way to help you. Nothing ever seems to be any trouble to anyone. It gives me great pleasure to write afew sentences on Turkish Premier Homes. I was delighted to purchase a two bedroom apartment at Blue Hill in August 2009. The apartment block Is in a beautiful setting and very tastefully landscaped.The apartments are built to a very high standard and a big attraction are the outdoor/indoor pools and fitness room. I was extremely pleased with all the detail and information given to me by the vendor and indeed all the staff at Premier Homes . I have to say that I never felt under pressure to complete the sale. I have been back since and have no regrets about the purchase. I would recommend Turkish Premier Homes to everyone,from purchase to maintenance ,to have someone you trust to look after your property at the end of the phone is invaluable,nothing has been too much trouble for you. Buying property in a foreign country can be very daunting with the language, laws, rules and regulations it is important to find a company you feel you can trust. 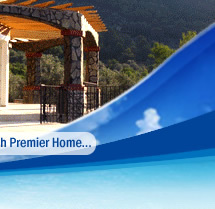 Turkish Premier Homes made the buying process easy and enjoyable. Ramazan spent a huge amount of time showing us properties within our budget and requirements. We were left to look around the properties we were shown and Ramazan was there to answer any questions we had. He pointed out both the pros and the cons (we are sure most agents would only talk about the plus points). Ramazan and his staff were very easy to talk to, not at all pushy, very patient giving us plenty of time to make decisions, professional and at no time did we feel under any pressure whatsoever. We eventually made the decision to be buy two properties and Ramazan and his staff took us by the hand and let us through the process. From opening bank a account, getting tax numbers, taking us to the Notary, to arranging a solicitor and translator and much more...All monetary transactions were dealt with properly and at the times we had agreed. After independently looking around for furniture Ramazan offered to take us to his Uncles shop and surprisingly his prices were better than a lot of the shops we had visited. This took the pressure off even more, the furniture and soft furnishings were sorted for both properties within a day and we still use the same shop now! Any little problems we had when the properties were completed were sorted without delay or questions and the post sale service is excellent too. We would have no hesitation recommending Turkish Premier Homes. Ramazan and his staff are a pleasure to deal with. Turkish Premier Homes made our dream of retiring abroad a reality. Whether you are looking for an estate agent or after sales company, TPH are second to none.Nothing is too much trouble for everyone involved in the business and from day one we were treated like a member of the family. Three years on and nothing has changed. They are always available if we need any help, a chat or just fancy a cup of coffee. I would not hesitate to reccommend their services to anyone needing help in purchasing a property and managing/maintaining it afterwards. I bought a property from Ramazan TPH nearly 5 years ago, and have no problem recommending this firm, the whole procedure was easy with their help. My family have been friends with Ramazan for over 15 years and I have complete faith in his company. I have since got to know Peter and he has been extremely helpful in any small queries I have had, whether it be getting a boiler fixed to bill queries etc. I would have no problem buying from this company,a second property. I have complete trust in their ability and therfore have no problem recommending them to anyone to buy from them with complete faith. Mari Ashbridge 07984496660 if any questions? We bought our apartment in Altinkum through Turkish Premier Homes 5 years ago. From the very first meeting, Ramazan Ozturk and his colleagues have provided a very comprehensive and professional service. Every aspect was explained to us and the advice given was invaluable. The sale progressed, we were updated on a regular basis and it was completed exactly as predicted and without any problems or delays. We have continued using Turkish Premier Holmes Property Maintenance Service which is offered at 3 levels and covers everything you could possibly need from regular property inspections and reports, cleaning and preparing the property for occupation and to arranging transfer to and from the airport. What ever we have asked for has always been delivered. You hear many stories in Altinkum about problems with the buying process and with property maintenance services. We know a considerable number of people who have used TPH and we have never heard any word of dissatisfaction with regard to the services they offer. We have absolute confidence in TPH and have no hesitation in recommending them. In fact, we have recommended them to others, including our son, who later bought a property through them and experienced the same high quality. We bought our apartment in Altinkum through Ramazan Ozturk at Turkish Premier Homes five years ago. Since this time we have continued our association with the company and now enjoy their property management service. We have always found the staff at at Turkish Premier Homes to be helpful and the service they provide, efficient. very eager to help at all times and very good at his job. Overall we are happy with our purchase and are happy with the price we paid. Would recommend to anyone interested in moving to turkey. We were recommended Turkish Premier Homes by friends in our apartments who were already using their service, as we had been let down by our previous agent. I spoke to Peter at TPH, and found him and his colleagues most helpfull and offering reasonable rates for property maintanance. He organised the changing of the locks on my property immediately. The facility to be able to deal with a genuine English/Turkish speaker has been hugely helpful as Peter is not only able to act a 'go between', but to articulate, clearly, in both directions to ensure that as owners you really do understand what is happening. Our property is visited regularly, and we even receive photos, so that we can keep an eye on things in our abscence. We have no hesitation in recommending their service. The Service that has been provided by Peter and his Team at Turkish Premier Homes is second to none. When me or guests to my apartment arrive the pick up service is always friendly and there waiting. The apartment is always spotless - my guests are visited and kept up to date with how to use things and where things are. Any problems in my apartments or maintenance work that may need doing etc is always promptly done and I am ever so grateful for this. In the 4 or so years I have owed the apartment I have found Peter and team to be honest and reliable and have made having a holiday home a real pleasure. I now regard Peter as a close friend and hopefully one day I can return the favour of all the great works he has done for me. I wish to thank and congratulate Turkish Premier homes for their Service, professionalism but most of all their kindness. I bought an apartment from them 3 years ago, after a long and lengthy process of speaking with different agents and viewing numerous properties. I was introduced to Ramazan and Peter through my Sister in Law and was immediately impressed with their easy going manner which put me at ease immediately. At no point in the viewing process was I given a hard sell they were very honest and approachable to all my many questions. I am constantly reading horror stories of people who have bought property from Cheats and Cowboys and I am very Thankful that it was Turkish Premier Homes that I entrusted my savings with. I have my Deeds, my apartment is constantly being checked and any help or advice I need is always given with speed and sincerity. Their Customer Service is second to none and I count my blessings every morning I wake up in my own little Paradise that I met the guys from Turkish Premier Homes. 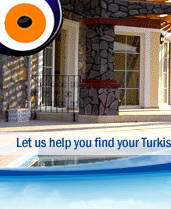 Hi, I am a Turkish property owner and my villa is situated in Akbuk in Turkey. My first introduction to "Turkish Premier Homes" was about 3 years ago. Firstly a little background, my villa is one of 22 on a complex and I purchased it 6 years ago, at first the complex seemed ok but as time went on problems started to arise, on my 3rd year visiting my heart sank when I saw the condition of the complex, the grass and most of the shrubs had died, the perimeter lighting did'nt work, there were problems with the pool and the place just looked totally rundown. One of our owners had dealings with "Turkish Premier Homes" and they agreed to take over the running of the complex. Things started to improve fairly quickly, There was topsoil added to the gardens and they were reseeded and shrubs added, they worked on the lighting and the pool and the overall look and feel of the complex is a hundred times better, I now once again look forward to my visits. In my opinion "Turkish Premier Homes" are a friendly, profesional outfit who simply do what you pay them for, they are very obliging and are always willing to help, so I have no problem in recommending them. They also look after my electric bills, insurance and they inspect my property on a regular basis and let me know if problems arise. Finally a word about our caretaker, Memeth, He and his family are very nice people and Memeth is always there to help and that is so reassureing to know, I would at this stage consider him as a good friend, these are the type of people employed by "TPH". Peter and the staff from Turkish Premier Homes have managed our apartment for about four years, and we have been perfectly happy with the service they have provided. We have had a few problems along the way such as a broken window, a break in and a flooded basement which Peter has dealt with promptly and efficiently for which we are very grateful. We have already recommended Turkish Premier Homes to two friends who are now managed by them and we would certainly recommend them and Peter to anyone. Just thought we would drop you a line to say many thanks to you and all the staff at Turkish Premier Homes, For all your help and assistance in helping to sort out the tapu etc, for our apartment in the altan 2 Complex. Although we did not buy directly from you, we wish we had known about tph before hand , we would of definitely used you from day one. friends/colleagues to contact you if they were in the market for property in turkey. I would like to express my gratitude and satisfaction on the duplex I bought in Altinkum, Alturk 2. The builder came highly recommended from Feryal who sold me the property and sadly died in a road accident. Ramazan and the rest of the office staff have been more than helpful over the past couple of years and nothing is too much. They are a professional and friendly company and would highly recommend to anyone who is considering buying a property. Turkish Premier Homes also maintains our property on a monthly basis and will inform us of any bills that require paying, giving us peace of mind living so far away from our holiday home. They have on a number of occasions gone over and above their services and for this we are highly great full and this proves that nothing is too much. We are extremely pleased with our Duplex and feel we are blessed to have met such a wonderful professional company like Turkish Premier Homes and wish them many happy years for the future. I have been with Turkish Premier Homes for the past three years and would highly recommend their services. Having previously had numerous problems with another Agent I have been able to consistently rely on Turkish Premier Homes to check my apartment and help resolve any problems with my property. Peter in particular is very friendly and as he's English the language barrier is never a problem. I will continue to use Turkish Premier Homes in the future for both their property management services and also when I come to sell my property. I bought my apartment through Turkish Premier Homes back in 2001/2. My son and I had been standing outside TPH looking at the properties they had for sell, when Ramazan came out to ask if there was a particular property we were interested in. I said “not at the moment we are just window shopping at this stage. We are interested in buying but not quite sure what type of property we would like to buy.” Ramazan asked if we had an half hour or so to spare, and invited us in for a cup of “apple tea” and to show us other properties they had on their books. After seeing a number of interesting ones, Ramazan offered to take us around to view different types of real-estate that was around our price range. After looking at three or four different properties, we found one we liked. Ramazan contacted the owners and a couple of hours later a price was agreed. An appointment was made with the solicitor for both myself and the people selling. The Apartment deeds were handed over to the solicitors and charges paid, the contract were signed and 2 copies of it given to me, 1 in English and 1 in Turkish . We both signed on the dotted line and in 5 months later after the military checks etc had been sorted, I was informed of the completion of the sale. Ramazan and his staff helped me with buying of furniture, running me around to different outlets to get the best prices and helping getting fitments etc fitted even whilst I was at home in England. They have kept an eye on the property letting me know if there has been any problems etc and helping me sort them out. I would recommend them to anyone wishing to purchase property in Altinkum. 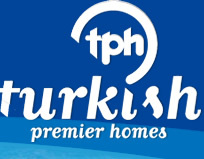 For anyone who is thinking of looking for property in Altinkum i would highly recommend Turkish Premier Homes. I was introduced to Ramazan Ozturk in 2005,by someone who had purchased through them 2 years earlier.I told Ramazan my budget and what i required,he showed me various properties all within my budget (unlike other agents who showed me places beyond my budget,thus wasting my time).I decided to buy a four bed duplex apartment,that i had been shown by 2 other agents,who both quoted me a much more expensive price than Ramazan.They guided me through the buying process and explained everything very well. I still use Turkish Premier Homes now for cleaning the apartment,any repairs,and a monthly property check.They allways reply to me promptly when i email,and email me per month with photos from thier check.They also do the odd little favour if needed without charge. I would trust them implicitly and would now consider Ramazan and Peter as friends,not agents.